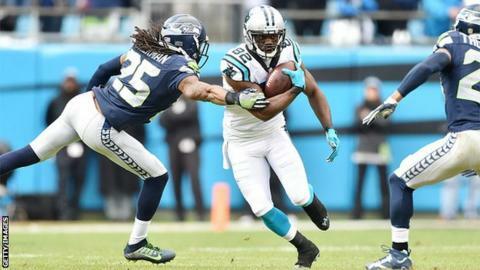 An American Football expert says Scottish football would enjoy huge benefits on and off the field if it adopts an NFL draft system. The idea has been pitched to club representatives by Scotland coach Gordon Strachan. "You could imagine that, in the run up to this, people would become more interested in the young talent at certain clubs," said Martin Calladine. "And it will focus people's minds on the next generation." Strachan and Scottish FA performance director Brian McClair revealed the idea at a meeting of the Scottish Professional Football League this week as part of its review into youth development. Under the plans, aimed at giving more competitive game time to young fringe players, top-flight clubs would provide up to five players for a draft pool that would then provide loan picks available to clubs in the lower leagues. Calladine, who wrote a book about what football can learn from its United States equivalent, says sponsorship cash and fan interest could soar, should the SFA proposal becomes a reality. "I think it's a terrific idea," he told BBC Scotland. "Scottish football needs interesting stories around it. It needs to get people excited about the game and especially during the off season." The SFA has set up a steering group to look at the idea further and has invited representatives of the clubs to be involved in the process. Calladine also believes attention and cash could follow if a National Football League-type system were adopted. "This would be the first major league in the world doing anything like this, so it would be an open goal in terms of generating some positive press," he added. "The draft provides sponsorship and broadcast possibilities for the NFL and there's no reason those principles couldn't be adopted for Scottish football. "When you look at other sports around the world and then back at football, you see how conservative it is as sport, how frightened of any change it is. "But I would be very surprised if, after the first few drafts, people aren't very excited about this."